Abe Kean enjoys working with innovators to solve challenging problems. His clients are leaders in their field–individuals and companies that conceive and create great things and that compete in the marketplace to provide the best product or service. As an intellectual property lawyer, he represents clients in venues nationwide to protect assets that are rightfully theirs. In litigation, Abe believes in combining creativity and common sense to resolve complex questions with straightforward focus. 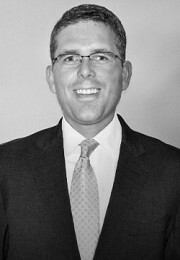 Over the course of his practice, Abe has litigated numerous intellectual property cases in district courts across the United States. Abe has worked with clients from the initial stages of litigation through several trials and appeals. In addition to managing district court litigation, Abe has handled cases before the International Trade Commission and has briefed multiple appeals to the Federal Circuit. Abe has also prepared and prosecuted dozens of domestic and international patent applications in the areas of computer software, electronics, telecommunications, sports equipment, medical systems, and mechanical devices.